Went to Blue Smoke last night with my pops. It’s a good spot for Murray Hill: comfortably crowded, decent food, and sort of a dudefest (girls think about that for an after work drink). We ordered the warm bbq potato chips with blue cheese and bacon dip to start. It’s hard to complain about a creamy dip with bacon, but the chips were stale and tasted store bought. It was fine, but I wouldn’t say it was restaurant quality. It reminded me of in college when my roommates and I would try to “cook” (look boys we’re cute and domestic). We’d haul our cookies to the supermarket (secretly munch on samples), buy all the ingredients, make this fatty dip, and realize we forgot chips, and end up running to the vending machine to see what they had. 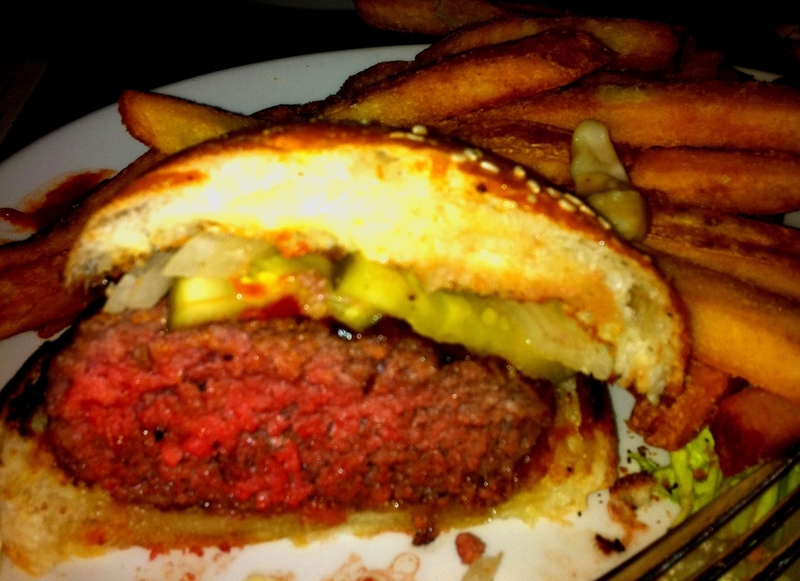 I had the burger, and I have to say I liked it. It was big and juicy (don’t make it weird), and the fries were well done which I love! Mi padre had the fried chicken with mashed potatoes and gravy. 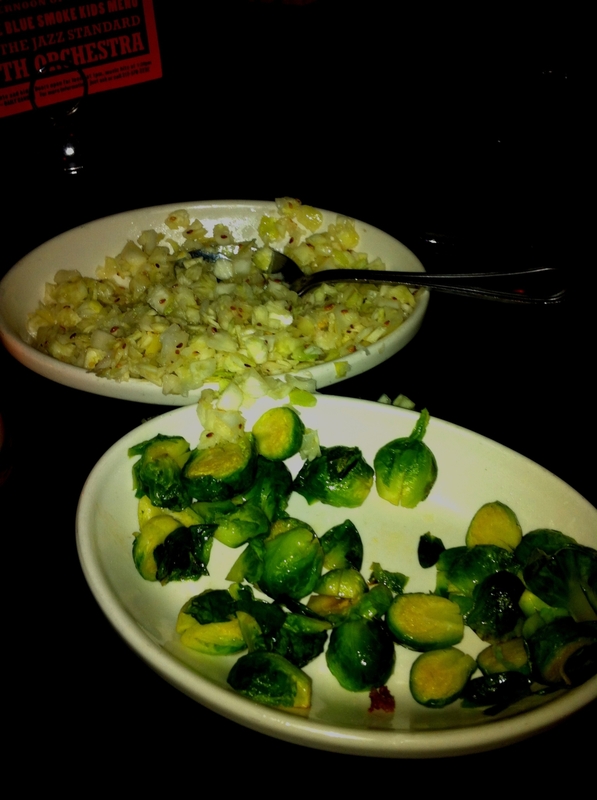 We also split a side of brussel sprouts and sesame cole slaw. I had a nibble of my dad’s, and if you’re not in the mood for red meat I would recommend getting that. Overall it’s a good spot if you’re going with parents or a coed crowd. I didn’t see one group of girls sitting at a table. Some might see that as no competition.